The Central District Conference is due to take place on 2nd March at 10.30am in the Pitbauchlie Hotel, Dunfermline. We are looking for some of our members to take part. If you are interested in attending please contact Willie Dryburgh on 07383984470. Our first meeting of 2019 will take place on Wednesday 23rd January at the earlier time of 7.15pm. The ASC National Conference will take place on 26th-28th April 2019 at the Marriott Hotel, Edinburgh. If you would like to attend please contact Willie on 07383984470 or email dennyspeakers@gmail.com. Congratulations to Alison who won gold at the Raconteur event hosted by Kirkcaldy Speakers Club. 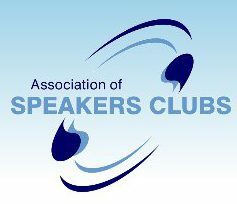 The ASC Speakers Guide is now available on a USB stick. They will be available to buy at meetings for £10 each. The ASC district conference will take place in Dunfermline in March 2019. The ASC national conference will take place at the Marriot Hotel, Edinburgh in April 2019. If you are interested in attending either of these events please contact Willie on 07383984470.